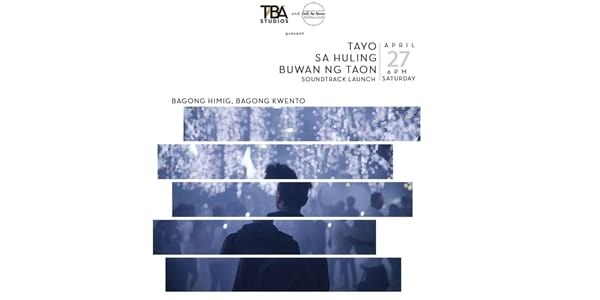 Tayo Sa Huling Buwan ng Taon, the much-anticipated sequel to the hit indie romantic drama flick Ang Kuwento Nating Dalawa, is set to premiere this May. But before the film comes out, let's all have a pre-broken heart with the performance on the film's official soundtrack happening on April 27, 6PM at The Axon, Green Sun in Makati. 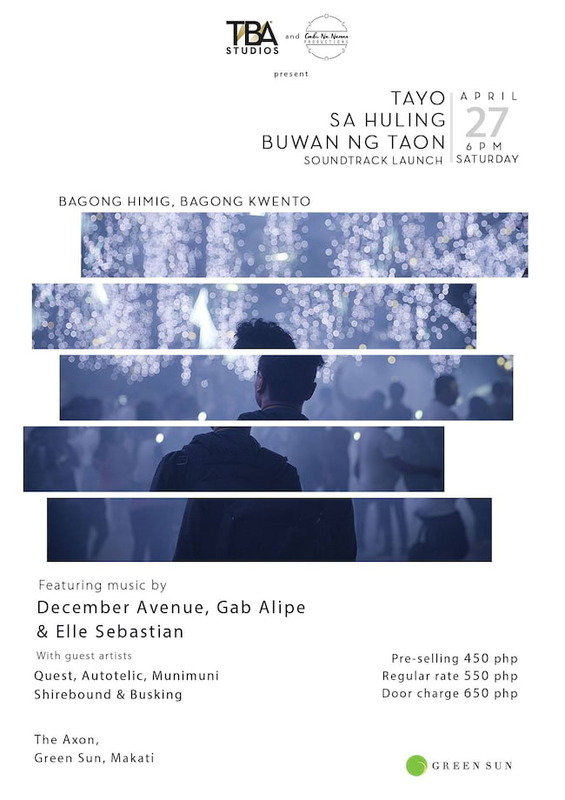 The soundtrack launch will be featuring music from December Avenue, Gab Alipe, and Elle Sebastian, with guest artists Quest, Autotelic, Munimuni, Shirebound, and Busking. Tickets are available for purchase online with a pre-selling rate of P450, and a regular rate of P550, while the door charge for the event is P650. Directed by Nestor Abrogena and produced by TBA Studios, Tayo Sa Huling Buwan ng Taon stars Nicco Manalo, Emmanuelle Vera, Anna Luna, and Alex Medina. The film is set to premiere in May. The Axon is located at Green Sun, 2258 Chino Roces Ave. Ext., Makati, Metro Manila. For more information about the event, visit the 'Tayo sa Huling Buwan ng Taon' Facebook page. Homestream image taken from Tayo sa Huling Buwan ng Taon Facebook page.